Ivy Dahler was not only a highly successful player at international level but an important figure in administration, directing, organisation of major events and support for bridge in country areas. It is possible to add some other exceptions. Most top players start relatively young – Ivy did not take up bridge until she was in her late thirties. Most top players live in the city – Ivy’s international career was conducted from Toowoomba in Queensland (about 140 kilometres from Brisbane). Ivy was born in the UK in Raynes Park, then a semi-rural suburb beyond Wimbledon, but most of her childhood and teenage years were spent in South London. The family’s situation was relatively comfortable by the standards of the time but was no stranger to tragedy. Her grandfather on her mother’s side had died early, leaving her grandmother with two young children to bring up on her own. Her father was a delayed victim of the First World War. Severely shell-shocked, he never fully recovered and one day simply left work and disappeared leaving Ivy’s mother with three young children – Ivy and an older brother and sister. He was never traced. This though was a family of strong women, who kept on regardless and maintained a sense of fun, much as Ivy was to do later in the face of her own tragedies. The family owned a hand laundry business, which Ivy’s mother and grandmother continued to run. Unfortunately, new technology, in the form of the steam press, was making the old manual ironing processes redundant. 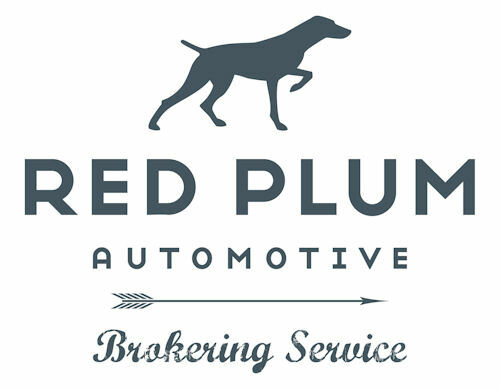 Unable to compete on price or invest in new technology, the business gradually dwindled and Ivy’s mother took on other work. Ivy was an average student at school and left at the official leaving age of fourteen. Her first job involved a lot of sealing envelopes but, as was characteristic of her, she rapidly took action to improve her lot. She taught herself to type during her lunchtime and enrolled at night school. When the war came, Ivy’s mother became active in the Commonwealth Serviceman’s Club. The aim was to provide a taste of home for overseas soldiers, primarily from the Commonwealth, when on leave in London . The club offered a place to sit and have tea or coffee, reading or conversation. Ivy’s mother’s skill as a budget manager came to the fore in the war years, with her being able to feed more than a dozen servicemen one Christmas Day – Ivy’s older sister, Hetty, remembers them arriving taking the whole top deck of a tram. Their house itself had two rooms blocked of because of bomb damage. Ivy volunteered at the club and there she met and then married an Australian Lancaster pilot, Roy Tomlinson DFC. He was always known as “Tommy” and she apparently only found out his real name during the marriage service when, to her initial confusion, she was asked to take somebody called “Roy” as her husband. 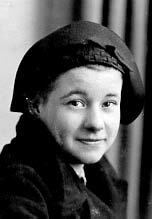 She came to Australia in a small cargo ship with 40 other of the first group of war brides to come to Australia. The war in the Pacific ended when the ship reached Aden and it was the first to enter Australian waters without blackout. Ivy spent her first year in Australia in Sydney as Roy was still in the RAAF and mainly engaged in transporting planes to and from PNG and Hong Kong. When he was demobbed, they returned to his dairy farm in Chinchilla in rural Queensland. Ivy, like Hans Rosendorff some years earlier, found a big difference between rural Australia and the environment she was used to. This was a time when rural communities were far more closed than now and somebody from another country quite exotic. Ivy, as always, was never afraid to speak her mind. “That Englishwoman” though quickly adapted to life on the farm and the life of the community, particularly the sport. Apart from table tennis, she was a good tennis player and a very strong swimmer. She also took on the Australian persona. When Hetty and her husband migrated to Australia in 1955, Ivy’s first words were “you do talk funny”. The one bit of Australia to which she never adjusted was its mosquito population, to which she was both highly attractive and allergic. She and Roy had two children – Pat and Beverley. But then Roy Tomlinson died on New Year’s Day 1951 from complications arising from pleurisy some twenty months after Beverley was born. Following Roy ‘s death, Ivy sold the dairy farm and bought a house in Chinchilla town. Typically, Ivy designed the house in some detail, including the then novelties of built-in kitchen table and benches and a bay window. It is apparently still the only house in Chinchilla with a bay window. She took up secretarial work to support her family. She worked for a while for the Mayor of Chinchilla. She also learned to drive at this time. There is a story that she never actually passed a driving test to get her licence. Every time the test was scheduled she was involved in urgent work for the Mayor and he eventually vouched for her driving skills and a licence was issued. In August 1953, Ivy married Kev Dahler, who had a panel beating business in Chinchilla. Kev and Ivy then moved to Toowoomba. At first Kev worked as a motor mechanic, panel beater and spray painter but eighteen months after their arrival in Toowoomba, they took on a milk run. Ivy also took secretarial work. She had very rapid shorthand and worked as a court stenographer. She was apparently very fast and the evidence for this can be found in ABF Council meeting minutes – on the one occasion Ivy was minute secretary, the record of the meeting grew from four to seventeen pages. With Kev, Ivy had two further daughters but sadly he died only six months after her fourth child (Robyn) was born.The sequence of events was traumatic for Ivy. Apart from her husbands, she had experienced other major losses in the previous years. Her older brother, who survived the war as a pilot, was killed in 1948 while rehearsing for an air show. Her mother, who was travelling to Australia with her grandmother to visit Ivy in 1949, died during the voyage and was buried at sea. Nevertheless, following Kev’s death, she built yet again a life for herself and her children. She sold half the milk run but kept the other half for some time to supplement her widow’s pension – delivering the milk piled up inside her little Hillman Minx (until she was forced by numerous complaints to get a proper van). 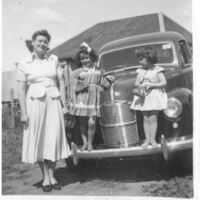 Pat went to a country boarding school and the three younger girls stayed at home. She kept on also the volunteering and community involvement that were a later characteristic of her bridge activities. Over time she received help from Legacy and was particularly active in supporting it in return. She was an active fundraiser and very active as a coach of local and school sports teams in a range of sports, including netball and badminton and would never miss a game in which her daughters were involved. One of the things that, as she later told Hetty, helped keep her sanity in this difficult time in the early 1960s, was bridge, which now in her forties she adopted as her main interest outside family. She had grown up in a card playing family (solo whist and whist rather than bridge) and Hetty recalls that when she was very young, Ivy’s great ambition was to be old enough to be allowed to join the great family and relatives marathon card sessions that traditionally took place on Boxing Day. She eventually joined in at a much younger age than her siblings. With her own children she played, as her youngest daughter Robyn remembers, “500, rummy, Chinese poker …you name it … I think I was bought up on steak and 3 veg on a bed of playing cards”. Even after she was playing high level bridge, Ivy remained an omnivore for games generally. She took to computer games with gusto and was not averse to an occasional flutter on the pokies when she visited Ellie Spiro in Brisbane. She had other recreations. She taught herself the piano and could play by ear. She continued knitting, crocheting and embroidery right to the end of her life. Cards were the main recreation and it did not matter how simple the game. Ron Klinger recalled that after the day’s sessions were over on the cruises, he, Suzie and Ivy would unwind with a game of Chinese Poker, which often had them in fits of laughter. It is often forgotten that, prior to bridge, there was a thriving culture of other card games. Ivy’s first foray into organised cards outside the home was into euchre. 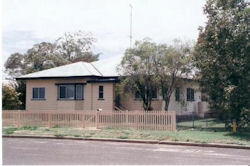 In Toowoomba, euchre was played two nights a week – once at the Trades Hall and the other organised by the Holy Name church. Ivy’s oldest daughter, Pat, remembers being taken along to these evenings and participating in the play; and that in between euchre sessions men would play poker often passing her 3d as a stake to join in. Ivy’s first exposure to bridge was a social auction bridge game about twelve months before Kev Dahler’s death and she became involved in daytime sessions at her and other people’s homes. After testing herself in a few social games, she went to the evening lessons being run at the Toowoomba Bridge Club. Very soon after she had joined the Toowoomba club, George McCutcheon had regarded her as “a lass with promise”. Within a relatively short time, at his request, she set up a daytime club, thereby beginning a directing career of more than thirty years. He also offered to coach her and was keen for her to play competition bridge but she declined the offer of coaching out of loyalty to her existing partner. In 1966 they won the Australia-wide pairs. Later that year, though, she began to make the weekly trip on a Friday night down to Brisbane to play. Nancy Penfold managed to persuade her to enter the Queensland Women’s Pairs in 1966, which they won. Ivy and Nancy won again in 1968 and in that year went to Melbourne. They came fourth in the Australian trials for the 1968 Deauville Olympiad, narrowly missing selection. In 1969, Ivy and Nancy repeated their Queensland Women’s Pairs Championship; and Ivy was also a member of the winning team in the Queensland Open Teams Championship and a member of the Queensland Open Team at the 1969 ANC. Her international career began in 1970, where she was a member of the Australian Women’s Team in a test match against New Zealand. In the following decade she represented Australia on six further occasions.She was a member of the third placed Women’s Team at the Far East in 1971 (with Fay Landy) and was a member of the winning teams of 1975 (with Gray Reynolds), 1977 (with Faye Landy), and 1984 (Rosemary Atherton) – making her, to date, the most successful ever Australia player in international events. She was a member of the 1972 and 1976 Women’s Teams at the Olympiad and the 1978 Venice Cup Team (where the team came fourth). Ivy was prominent in Queensland competition right through the 1970s and 1980s. She was a playing member of the Queensland Women’s Teams in 1970, 1971, 1972, 1977, 1979, 1980, 1983, 1984, 1985 and 1988 and non-playing captain in 1986 and 1987. She won the Queensland Open Pairs in 1978 (with Enid Busch) and the Queensland Women’s Pairs in 1974 (with Gray Reynolds), 1976 and 1978 (with Fay Landy) and 1984 (with Rosemary Atherton). She won her last State event in 1998 when she was 76 (the Mixed Pairs with Neville Francis). Nancy Penfold was also based in Toowoomba but later partnerships, and the need for high quality opposition, meant a 260 kilometre round trip each Friday evening for a session at the Queensland Contract Bridge Club. Her principal partner was Fay Landy but she also had successes with Gray Reynolds and Rosemary Atherton. Daughter Robyn remembers that she would be picked up after school on Friday night and head to the bridge club. She would do her homework while Ivy played and they would return to Toowoomba ‘at some insane time of the morning but we used to sing at the top of our lungs while we drove along’. The internet now makes it easier for country players to participate in high level bridge but the internet would not have given the exposure to discussion with leading players and people like Jimmy O’Sullivan and Denis Priest, which were undoubtedly important in Ivy’s development to be a world-level player. At national level, Ivy was a member of the winning National Women’s Team in 1983 and won the ANC Mixed Pairs in 1983 and 1985.Her partner on both occasions was Richard Ward who recalled that “whilst we rarely agreed on bidding theory, it was always a pleasure to see her rip into a juicy 3NT contract and her table presence was an additional bonus” – thus summing up the main characteristics of Ivy as a player. Ivy put an enormous amount of effort into her bidding system (a variation of precision) and was constantly fine tuning it. She would take note of variations and gadgets she saw at the table or read about in the bridge literature; test them; and if they proved advantageous incorporate them. She did not go to all this trouble to let partners go their own way. Signing up to play with Ivy at top levels did usually mean signing up to the system. Rosemary Atherton, in making up a last minute partnership with Ivy at an ANC, told of being given twenty pages of her version of precision with a warning that “she had better learn them pronto”. Ivy’s enormous level of preparation was not confined to developing her own system but also to countering the gadgets and systems of others. When forcing pass arrived, she recognised early both the problems it posed but also the rich pickings it could provide to opponents. Using a copy of the system, provided by Paul Lavings, she and Rosemary developed an extensive defence before ever meeting it in practice. The defence developed could be all the more effective because forcing pass proponents often showed little interest in studying it. Ivy was a very competitive person and played to win – but was not the type of person ever to have recriminations at the table and never at any time about mistakes in play. All partners from all periods remember her as the model partner. No matter how important the situation or how bad the mistake – the most you would get from Ivy were some genuinely felt words of consolation. She herself had nerves of steel in competition but was very understanding that others were not always so fortunate. This exemplary behaviour was an asset to all teams as her partnerships never lost rhythm because of one bad board. Systems breaches or misunderstandings were, however, regarded as a suitable topic of civilised discussion after matches. Ivy would be polite as ever but could be quite forthright. Fay Landy commented that you were not going to win too many arguments with Ivy on this topic. On one occasion she departed from the system to bid 3H (which was doubled but would make) and was taken out to a non-making 4C. When Jimmy O’Sullivan asked her later why she had taken Fay out – the reply was that the bid “was not in the system”. Ivy did mellow over time on this. In her 1980s partnership with Rosemary Atherton, she even had a compromise agreement to allow Rosemary some scope for her favoured psyches. Under the agreement all first bids and responses had to be on the level but after that she was free to use “those funny little bids” as Ivy summarised them. Ivy’s bidding and play was not usually associated with fireworks. One opponent referred to her and her partner as playing “a tight grim game” (referring to the play not her demeanour). Her success was based on very high levels of concentration, ongoing deduction from bidding and play and giving nothing away. She was one of those players who often seemed to know the location of every card at the table. While she had success in pairs, her strengths were particularly evident in high level teams events. Her concentration was the more notable as she suffered from Fuch’s dystrophy – a genetic condition that causes distorted vision. Nothing of course is foolproof. Bruce Williams, playing once against Ivy, psyched in an auction that took her to 3NT. He remembers her declarer play was brilliant – finding the only possible way to make the contract if he had all the points – but unfortunately finding the only way to go down as he did not. Ivy, as usual, made no comment at the table but he did get a dirty look and she treated his bidding with considerable mistrust for some years afterwards. Even at the peak of her playing career, Ivy was very active in bridge in other ways. She directed at many events, most prominently, the Gold Coast Congress from its early days in the mid 1960s until 1985 (at which point she decided it was time for her to actually play in it for a change). She was also the Gold Coast Congress convener in the early 1980s and a regular Director (and Chair of the Appeals Committee) at the National Open Teams in Canberra and other major national events. She also directed at the 1989 Bermuda Bowl held in Perth and was actively involved in setting up the 1985 Far East in Sydney. As a director, she was known for her calmness and “light touch” – an ability to give difficult rulings in a way which made it hard for people to take offence or to feel belittled in any way. When the ABF introduced its ranking system for Directors in 1995, she was one of only six level 1 national directors. As in other things, family and bridge were combined as much as possible. Congresses and the preparation for them were a family affair and done in fun rather than as a chore. In the days before dealing machines, daughters Robyn and Beverley would spend many hours with Ivy making up the boards for all the congresses she ran or they would help with the scoring. Ivy also taught, mainly on an informal basis and without charging for her services. Several prominent Queensland women players recall being “taken under her wing” in an early period of their career. Ivy though was just as happy to teach social players who wanted to improve. Ivy was always really helpful to anyone who was keen enough to improve and would spend many weekends with groups in Brisbane or Surfers to help them with their game. She was particularly helpful to country bridge clubs trying to establish themselves. After her death, the Warwick Bridge Club, for example, expressed their thanks to Ivy for directing at no charge at their first congress and being a fount of information on masterpoints and other technical measures. From 1991 onwards, Ivy was an integral part of Ron and Suzie Klinger’s bridge holiday program, organizing and directing tournaments twice daily both in Australia and overseas. The main feature of her teaching was that there was “no quick fix” for improving one’s bridge. She always stressed the importance of study and concentration. By her own account she was a tough teacher, “drilling those she is coaching with constant cross-examination about what has gone, how many points are in a particular hand, what is the shape of that hand etc”. Ron recalls that she was always ready to help out in other ways by making up a table in morning sessions (Ivy did this for others too – the current writer had the pleasure of playing with Ivy in a “house team” in one of the weekend events at the NOT). Ivy was Secretary of the Queensland Bridge Association (QBA) in 1971 and President of the Toowoomba Club in 1976, but typically, her longest involvement in administration was in the generally thankless position of the QBA’s Masterpoint Secretary which she held for thirteen years between 1977 and 1990. 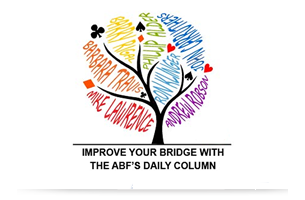 In 1988, Ivy chaired the new Masterpoint Committee of the ABF, almost immediately earning the praise of Australian Bridge for resolving a long running issue and making quarterly Masterpoint lists available to the journal. She served the ABF in many capacities, including representing Queensland and chairing the Tournament and Ethics Committees. 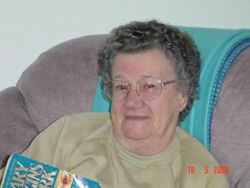 She was elected to the ABF’s Committee of Honour in 1995. Although almost certainly having less income than most other top bridge players at the time, Ivy generally did not accept money for her directing or teaching and did not participate in rubber bridge high stakes games.The only money she accepted were the prizes won at various Congresses, which went into her “bridge fund”. She said that she got so much out of bridge that she was more than happy to put something back. Ivy always downplayed to others the difficulty of living on a small income and never wanted any sympathy – just as she was extremely modest about her playing achievements and embarrassed if people made something of them.She said she was a good manager, living in Toowoomba was relatively cheap and her daughters and their husbands had been very generous to her. She was indifferent to splendid surroundings and, when on bridge trips, would opt for basic accommodation wherever possible. But while managing on very little may have come easier to her than others, it was not necessarily as effortless as she made it appear. After, through the deaths of her husbands, having her financial and personal world pulled apart not once but twice, on-going financial security was, in private, a major issue for her and she was always concerned not to do anything that would jeopardise the modest but ongoing security that her widow’s pension provided. This doggedness with personal beliefs and habits though was never a social barrier with other bridge players who did at least some of the things she did not. She loved to chat, to laugh and never imposed her views about alcohol on others – she was always remembered as good company. On the right occasion, she could be persuaded to perform her party piece – a full throttle rendering of the anonymous sentimental recital piece called “Guilty or Not Guilty”. The continuing significance to bridge of Ivy beyond her playing, teaching and directing achievements is two fold. Firstly, because her personal situation was an exception among top bridge players, she reminds us that bridge has traditionally been seen as the preserve of the professionals and better off sections of the population. It has shaken this off to some extent, perhaps more among women than men, but it is certain that bridge does not appeal equally across income lines. There is probably a degree of inevitability about this but it raises the question of how much talent may be out there that, without Ivy’s self-confidence and resolve, is discouraged by the milieu that bridge clubs unintentionally may provide. The difficulties of raising the profile of competition bridge are well known and have exercised the minds of administrators for many years. It is possible though that it is possible to start profile raising closer to home. In general, the big clubs at least are fairly blasé about their players who achieve international status and there is usually little ongoing recognition of the achievement. Ivy died on 6 March 2006, just a week after, at age 83, she had been directing as usual at the Gold Coast Congress. She was strong and sharp right to the end and able to remember complete deals from some time ago and how they might have been better played. She is remembered as a member of the ABF’s Committee of Honour and through the Ivy Dahler Seniors’ Teams trophy in Queensland. Information provided by Robyn Dahler, Hetty Neilson, Pat Sargent, Ron Klinger, Kim Ellaway, Bruce Williams, Ellie Spiro, Fay Landy and Gray Reynolds.